Cauliflower is a versatile vegetable that finds it’s way into many recipes. 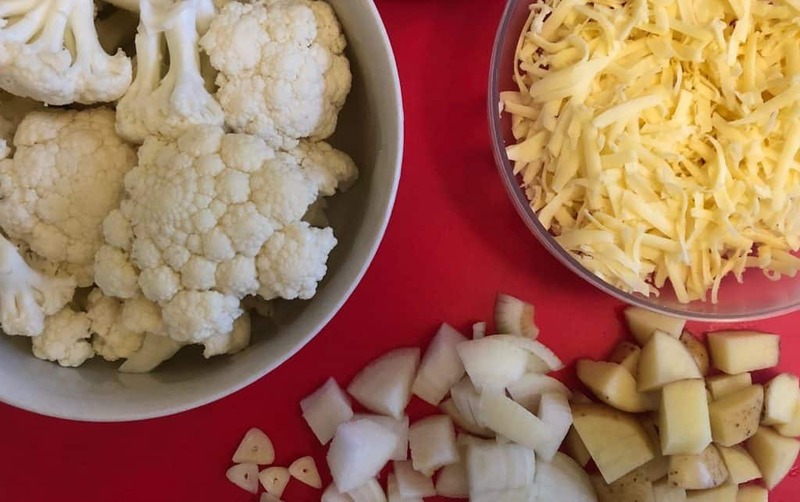 Although you’ll often find cauliflower amongst the vegetables on a roast dinner plate, it also works well in curries, stews and of course soups! I really love cauliflower cheese, so it made sense that I’d also be rather partial to a cauliflower cheese soup! Recently, I’ve been experimenting with cauliflower pizza crusts, as well as cauliflower rice – but that’s a whole other post waiting in the wings! 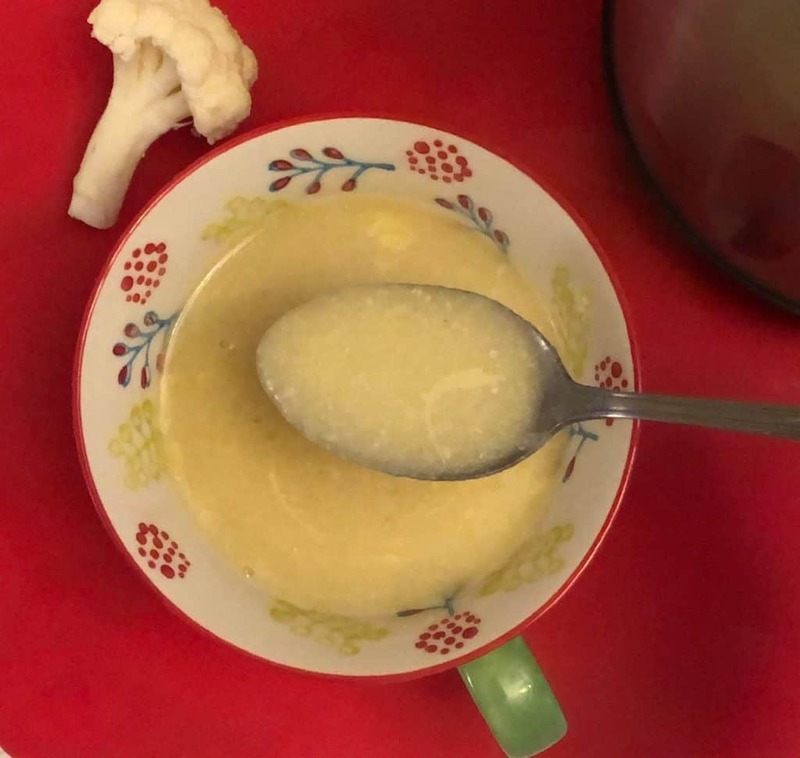 Cauliflower cheese soup is a straight forward one to make, and takes very few ingredients. And of course anything with melted cheese in it is always going to be a winner. How Do You Make Cauliflower Cheese Soup? This soup can be made in a soup maker, or in a pan on the hob. If you choose the second method and you want it smooth you will need to blend it up at the end with a blender. If you are using a soup maker you can just set it off on the smooth setting and then let the machine do it’s magical work! Side Note: If you are tempted by a soup maker you might be interested in my Soup Maker Buying Guide. Alternatively please feel free to ask me a question about them in the comments or by dropping me an email. 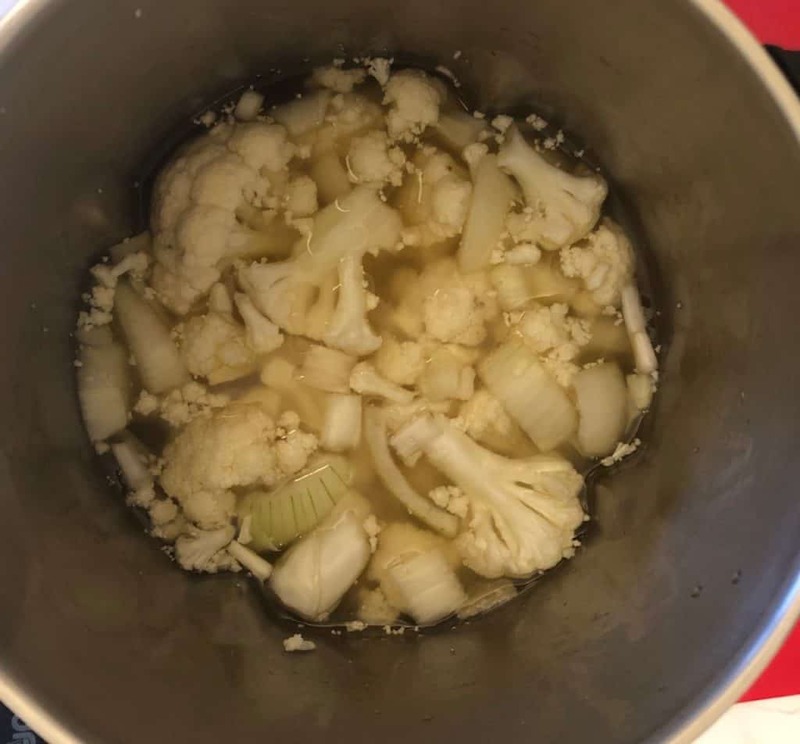 400g to 450g cauliflower florets – you will need to break these up as small as you can so that you can be sure to fit everything under the MAX line of your soup maker – depending on your soup maker capacity. 1 small potato – scrubbed clean, or if you prefer, peeled. Chop it up nice and small. 2 cloves garlic – sliced. 150g cheddar cheese – grated. You can substitute cheddar for your favourite cheese, or use a low fat/light alternative. Seasoning – optional according to taste. If you want to turn your cauliflower cheese soup into a more curried and spicy recipe you can add in a little ground coriander, turmeric, chilli, cumin, paprika or just some mild curry powder. For soup makers just add everything, apart from the cheese. Give everything a really good stir to make sure that no ingredients are stuck to the sides. If your soup maker has a sauté function you can use a little oil or butter and gently fry the onion and garlic before adding in the remaining ingredients. Set the soup maker off on the smooth cycle. When the soup maker has finished remove the lid and stir in the cheese. You might want to reserve a little to sprinkle on top of the cheese once served. Sauté the onions and garlic in a little oil. Add the remaining ingredients, apart from the cheese. Bring to the boil briefly and then reduce the heat to a simmer. Leave to simmer for around 15 minutes or until the vegetables are soft. Allow to cool slightly before using a stick blender to blend it smooth. Stir in the cheese and allow to melt. 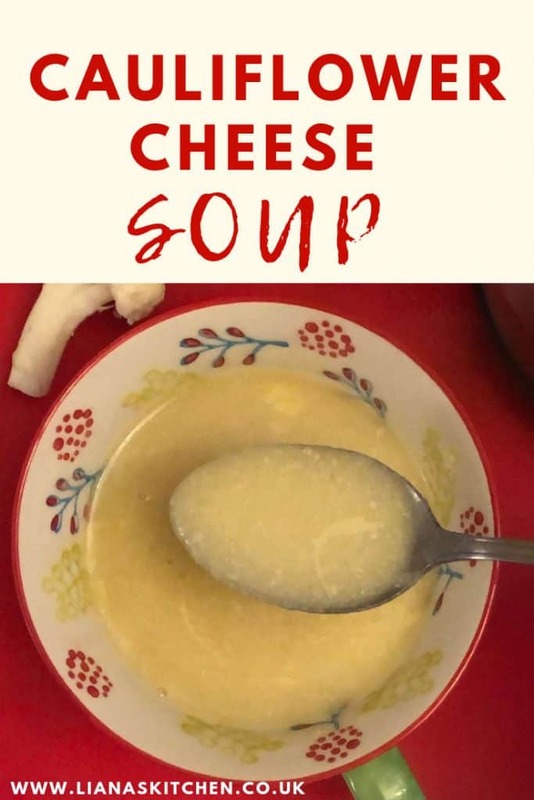 You can reserve some cheese to sprinkle on top of the soup once it is in bowls. I hope you enjoy this recipe – let me know in the comments if you make it! You can also find some more soup maker recipes here. It doesn't get much more comforting than Cauliflower Cheese Soup! Deliciously smooth cauliflower soup with melted cheese stirred through. Try to break the cauliflower florets up as small as you can or you might struggle to fit everything below the MAX line. Add all ingredients apart from the cheese. Give everything a good stir to make sure no ingredients are stuck to the bottom or side of the soup maker. When the cycle has finished, lift the lid off and stir in the grated cheddar cheese until melted. Hi. i am trying a few of your recipes, the cauliflower cheese was lovely, i am going to try some tomato recipes, I wondered if you or any of your members have ever used tinned cherry tomatoes in a tomato soup?